Never let it be said that the Winchesters are too macho for pink! This lovely little number is a soft pink and white striped shirt. It has a very well camouflaged left-breast pocket. 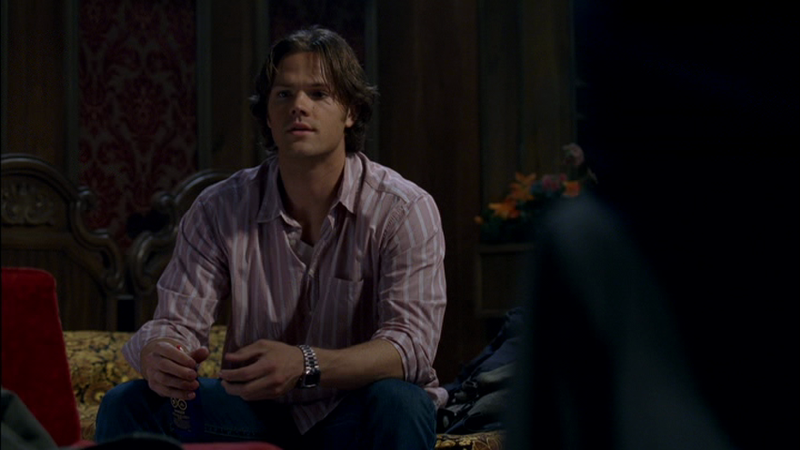 Sam wears it for almost the entirety of The Kids Are Alright (3x02) except when he is wearing a suit – only changing out of it at the very end of the episode, when we see the montage of him calling about his mother’s family and friends and talking to Ruby.